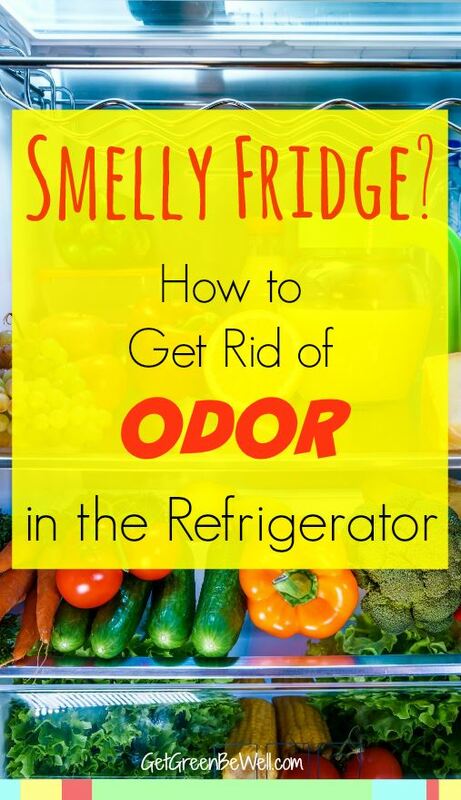 How to get rid of odor in a refrigerator. 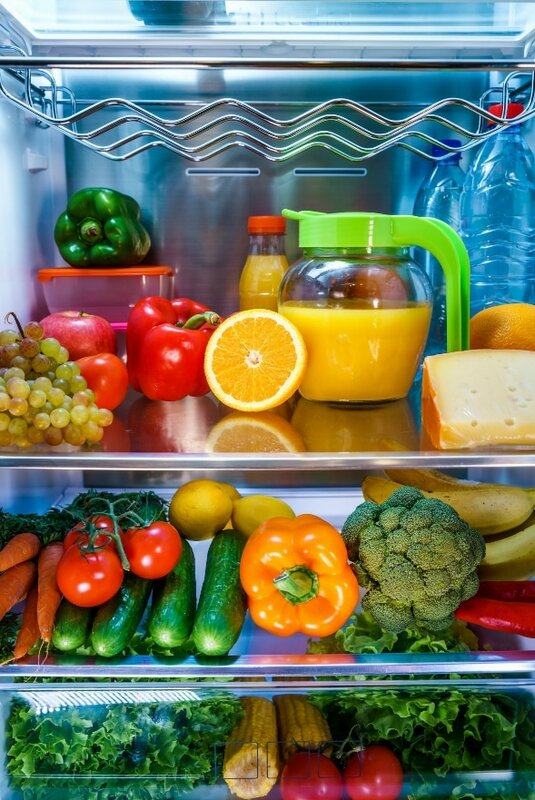 We’ve all wondered how to get the smell out of a refrigerator more than once. 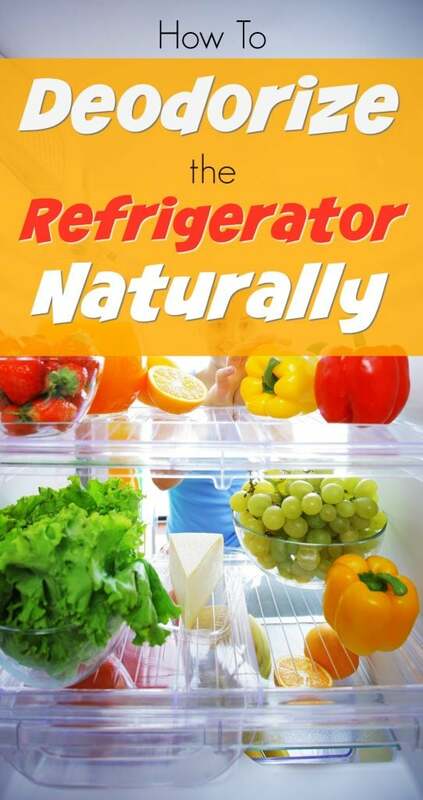 Whether it’s rotten food, smelly food like fish, onions or garlic, or just a moldy, musty smell – smelly refrigerators are just plain gross. Especially when they store the fresh food we’re supposed to eat. So stop throwing away money and fix the problem of a smelly refrigerator once and for all! 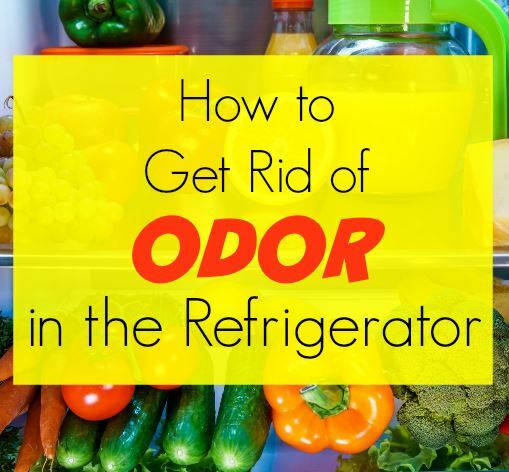 It’s easy to get rid of odor in a refrigerator. Trust me. Once you find the right product to put in your refrigerator to keep odors from building up, you won’t have to worry about it again. AND you can do it naturally. With no chemicals. Remove the offending item (think fish, cabbage, broccoli, onions, garlic, etc.) Once you remove it, though, you’ll have to wait for a while to let the odor diminish on its own time. Use baking soda boxes in the refrigerator. Yes, baking soda is a wonderful natural way to prevent odors. You do need to replace those boxes and keep buying new ones, though. Also, the top must remain open and don’t let the baking soda absorb too much moisture and develop a “crust” which won’t help with deodorizing. Suggested replacement time is 1-3 months. 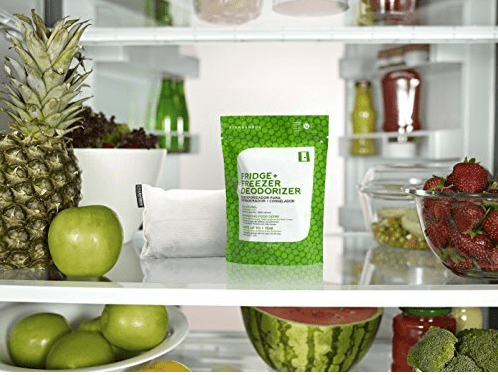 Harness the natural power of bamboo charcoal to remove odors and freshen your fridge. Buy once and never replace again. I’ve already talked about how great bamboo is in removing mold and mildew in cars and how it is the best way to remove odor in a closet. 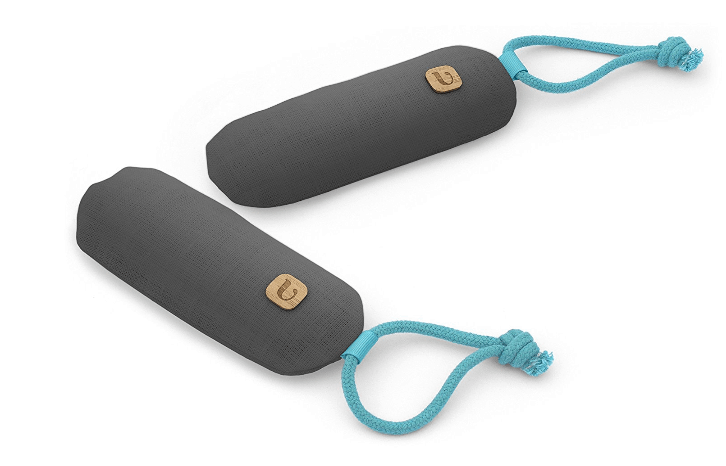 Seriously, bamboo seems to be a natural solution to all smelly problems! How does bamboo work? When bamboo is burned, it’s made into activated charcoal. That charcoal is harnessed and used in natural air purifiers. Air passes through the purifier system during normal air circulation over the day (the charcoal is enclosed in a bag or box). When the air passes through the bamboo activated charcoal, it’s purified, which means the odors are removed. What’s left isn’t an artificially scented odor or a chemical cleaner odor, but just clean air (which has NO smell, by the way! Bamboo can be reused over and over again. Every 1-3 months, put the bamboo air purifier in the sun, and the heat of the sun’s rays will bake out the nasty odor causing substances, and you’re bamboo bag is refreshed and ready to eliminate odors again. I said it was brilliant! And it costs less money than buying fancy sprays, cleaners or refrigerator inserts. Over time, it’s even cheaper than baking soda. BONUS – it removes moisture and mold, too – so no worries about those nasty things in your refrigerator, either! 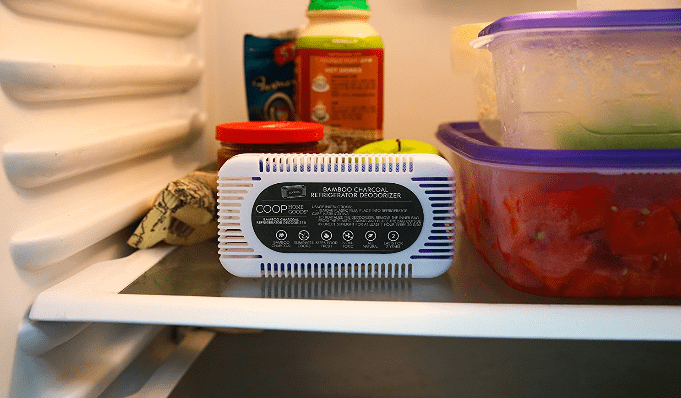 This small box contains a bamboo charcoal insert to remove odor in a refrigerator. Lasts up to two years. Tuck away wherever is convenient in both your refrigerator and freezer. 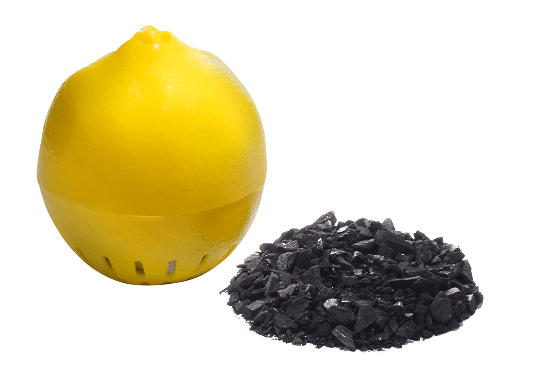 Looks like a lemon, but has a powerful odor remover inside! If you don’t want to look at an odor remover in your refrigerator or freezer, this is the way to remove smells in a more attractive way. A natural linen and bamboo charcoal bag is tucked inside. 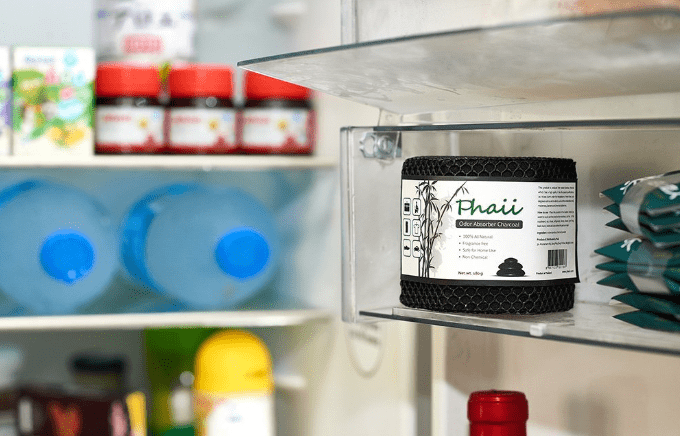 Using the power of bamboo charcoal, this modern looking system easily sits on a refrigerator shelf to remove odors. This is the brand that I use in my car. They make products for every odor-causing problem in the house. Let’s be clear, though – every activated bamboo charcoal deodorizer will remove moisture and odors wherever you put it. So this bag could just as easily work in the car, closet, etc. and vice versa. Does Walmart carry this product? Hi Francsica, I’m not sure if Walmart carries it. I haven’t looked, but they might have something similar.